A skin peel is a technique used to improve and smooth the texture of the skin. Facial skin is mostly treated, and scarring can be improved. Skin peels are intended to remove the outermost layers of the skin. Glycolic, Salicylic, Anti Aging, Body Peels. 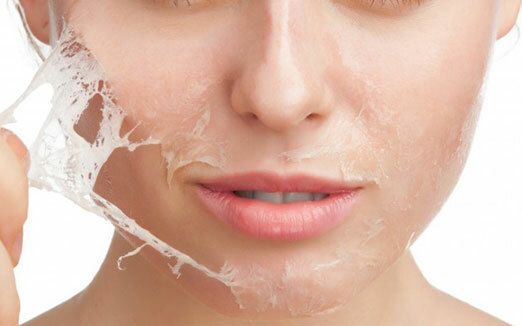 Skin Peels work by removing dead skin cells and encouraging new ones to grow, leading to a fresher, more glowing you. The procedures also brings about de-tanning, reduction in pigmentation, tightening of skin and providing you with a flawless skin - the results can be life-transforming! Whatever your skin dilemma, there’s sure to be a peel to suit. Peels treatment takes 30 minutes to 60 minutes and has 4-6 sessions. Skin Nirvana is a cosmetic clinic known for offering a number of non-surgical treatments which includes laser treatments and cosmetology procedures. It was established in Mumbai in the year 2005 by Dr. Gitanjali Nandini. Skin Nirvana has earned a huge attraction for its cosmetic treatments where major of its clients were driven through the references of the patients who have successfully undergone the cosmetic treatment. What are the surgeries offered by Skin Nirvana ? Skin Nirvana is a clinic for cosmetic treatments. We offer surgeries like Laser hair removal, Scar Reduction, Hyper-pigmentation, Lip Volumizing and many more. Skin Nirvana is the ultimate clinic for Men and Women to find solutions to your skin problems. What technologies are used by Skin Nirvana? The latest technology is used by Skin Nirvana. Technologies like Light Sheer Desire, Helios III and Fraxis Duo is been used. These technologies are used depending on the treatments. They are highly safe and effective. Skin Nirvana uses new innovations as they are faster and more effective and traditional ways are getting obsolete. How many sittings does a treatment require ? The number of sittings are different for different surgeries. Some treatments require a single seating while a few surgeries like tattoo removal,Lip volumizing etc may require 3-4 sittings. Who is Dr. Gitanjali Nandini ? Dr. Gitanjali Nandini, an American Board Certified Aesthetic Physician and a UK Board Certified Cosmetic Dermatologist, is of Indian origin, born and brought up in Kuala Lumpur, Malaysia. With over 10 years of experience Dr. Gitanjali stands as the top dermatologist in Mumbai.Being the best cosmetologist in Mumbai, Dr. Gitanjali's special interest is in Non­ Surgical Techniques in Restoration of Beauty. She is an international trainer with the American Board of Aesthetic Physicians for Injectables like Fillers and Botox. Who doesn’t love to have flawless skin which makes them look young forever? But with the increasing stress, pollution and unhealthy eating habits people are suffering from fine line and wrinkles at a young age. Skin Nirvana have a cure for it. Microdermabrasion an anti-aging treatment which is effective and easy with number of benefits. It is a treatment that keeps the skin clear and suttle. This treatment softens the fine lines and wrinkles and gives you a smooth textured skin. It can be used therapeutical or as a maintenance. 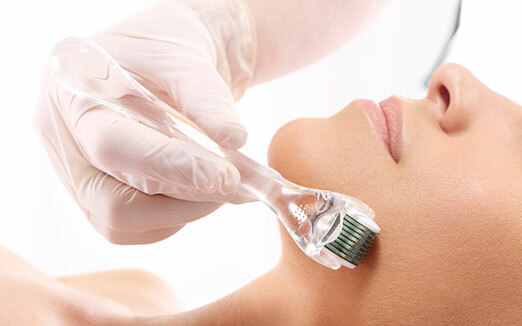 Microdermabrasion procedure is beneficial for both men and women. This procedure is a perfect solution for problems relating to aging or damaged skin. This procedure helps in brightening dull complexion, reduce pigmentation, improves skin tone, smoothen or retexture skin, restore youthful appearance and reduces skin pores. This treatment requires 4-6 sessions lasting for 1 hour each. 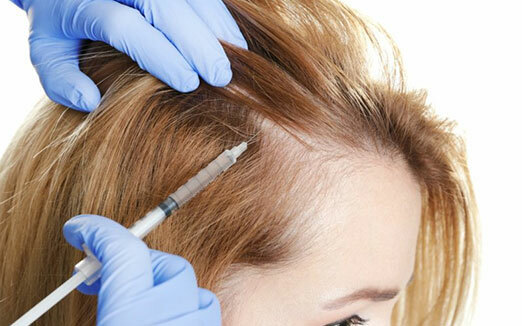 Hair, Glow, Scar, Bright, PRP. Skin Nirvana’s Mesotherapy treatment offers to you brightening of the skin, reduction of open pores and scars and hair restoration. This Treatment is suitable for both men and women of any age and for all skin types to restore youthful skin lustre. The treatment usually requires 4-8 sessions lasting for 1 ½ hour each.